Headwaters Tourism | A regional, non-profit organization with a mandate to facilitate the development and promotion of the Headwaters region as a tourism destination. 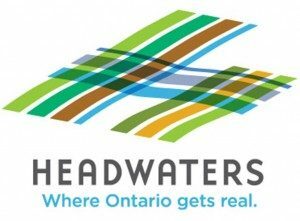 Headwaters Tourism currently supports tourism businesses and organizations as well as providing tourism marketing on behalf of the communities of Erin, Caledon, Dufferin County, Shelburne and Mono. Headwaters Tourism is governed by a volunteer Board of Directors, which are elected annually and supported by representation from our partner municipalities. Greater Dufferin Home Builders’ Association | GDHBA has been the voice of the residential construction industry in this region since 1988. We provide this voice through a network of home builder associations coordinated nationally and provincially. We are a network of professionals who effectively manage industry issues across Dufferin County. Headwaters Food and Farming Alliance | The Headwaters Food and Farming Alliance is a collaborative initiative which oversees and supports activities across multiple Working Groups with a vision to foster a food system in the Headwaters that is productive, sustainable, transparent, and fair; supports the health and well-being of our residents and food providers; and contributes to the prosperous and equitable economy. The primary objectives of HFFA are to grow a stronger local economy through the development of a local food system that includes residents who have access to healthy food and have the skills needed to support healthy eating, a diverse and sustainable farming system and local leaders who embrace the development of a local food system through development of supportive policies. For more information on the Headwaters Food and Farming Alliance visit www.headwaterscommunities.org.